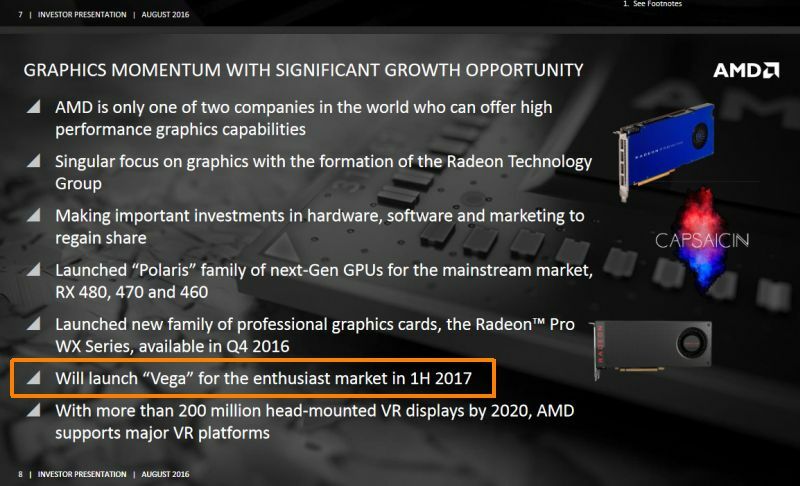 According to this source, AMD will launch the Vega GPU architecture in the first half of 2017 (I love the 6 months precision). The Vega 10 architecture is intended for AMD high end graphics cards and is the successor of the Fiji architecture (Fiji is used by the Radeon R9 Fury X). 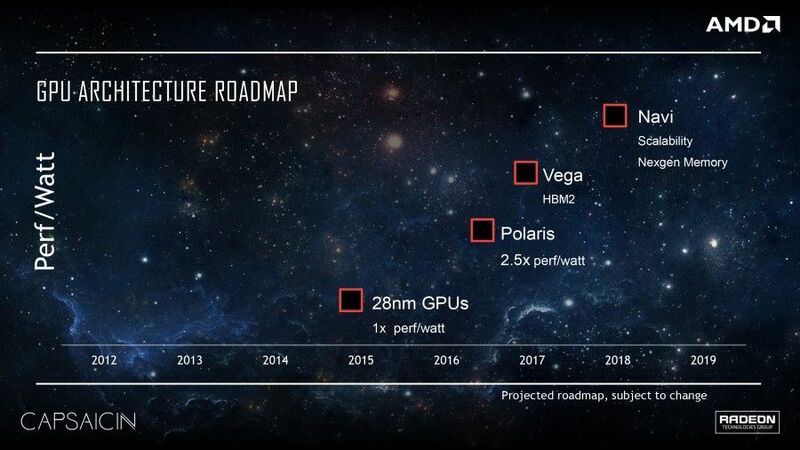 Vega silicon will use the 14nm finFET process like the Polaris architecture and will be the first graphics card with HBM2 (High-Bandwidth Memory 2) technology (up to 32GB). Vega 10 would have 4096 stream processors.